Taking the time to care for your dog’s appearance not only means that they will look and feel their best, it also helps to keep them in optimal body condition. By grooming your dog you’ll also become familiar with their body – making it that much easier to spot health problems quickly and the opportunity to look for pests like fleas and ticks. To do this you should begin training your dog to endure grooming while they are still a puppy. If you wait too long to begin the grooming sessions, your puppy may not be so cooperative later in life, especially when it comes to ear cleaning and nail clipping. 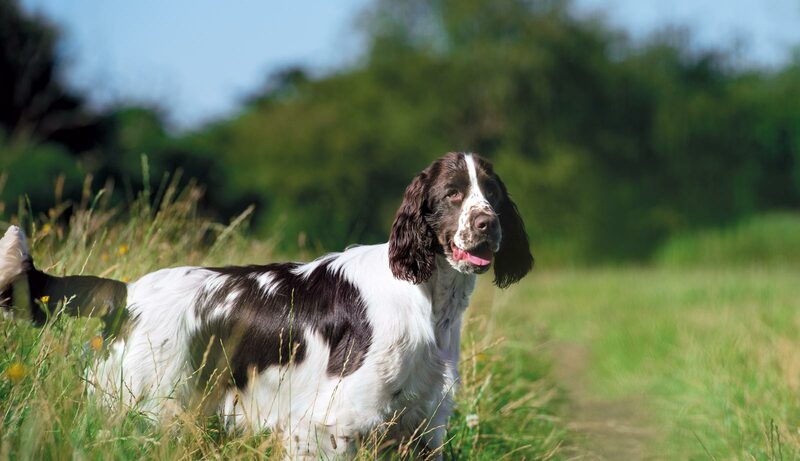 Their coat: a healthy coat is a really good sign that your pet is healthy and that the skin is in tip top condition. Healthy skin is not only important for your pet’s appearance; it also protects your pet against the elements and infection. Their skin: Your dog's skin is the largest organ in their body. In order to keep it healthy a good diet is essential. By feeding your dog nutrition that has high quality animal proteins, minerals, vitamin A, D3 & E and a blend of omega 6 & 3 fatty acids, all of which can be found in EUKANUBA foods, you help support skin health. Brushing: Most dogs shed their fur naturally twice a year (in spring and autumn). However to get rid of any loose hair (and mud!) you should groom them more often. All dogs (except short-haired breeds) should be groomed at least once a week, regardless of the amount that they shed. Use a soft-bristle brush while your dog is calm and relaxed. Distract your dog with a chew or toy and softly draw the tool over their body for a few seconds. The introduction to grooming should start when they are a very young puppy so be careful here if you’ve not done this before. A professional groomer can advise you on the correct brush for your breed and whether your dog needs clipping or stripping. Ear care: Floppy ears need more regular care than upright ears due to limited air circulation which makes them sensitive to irritation and infection. Gently clean the outer flap with a cleansing pad or lightly moistened cotton wool while checking for red sore patches, dampness or excess wax. Spaniels and hounds will need a shallow feeding bowl to keep their ears dry and kibble-free when they eat. Eye care: Make sure your dog’s eyes keep sparkling. Light tear staining, a natural mucus build-up, can be cleaned with a cleansing pad or lightly moistened cotton wool. Call your vet if your dog's eyes are red, inflamed or if there is any eye discharge. Nail Care: A vet should be the first to clip your dog’s nails but if you want to do it yourself thereafter, watch the vet carefully and ask their advice on how it’s done. Incorrect clipping can cause your dog pain and bleeding. Bathing: Dogs naturally produce skin and coat oils to protect themselves from infection, irritation and water. Bathing them too often can reduce the effectiveness of these oils and care should be taken to only bathe them once a month. If you do need to wash them use a special dog shampoo. Consult a professional dog groomer if you have any concerns about how to groom your dog’s coat. If you think your dog has a skin problem then be sure to consult your vet.